HMS Excellent RNVCC is based at Whale Island in Portsmouth and is one of our newest units, the first recruits having joined in September 2016. However, there was a VCC unit here until the mid-1980s so it’s not totally new. Working alongside the local RMVCC Division, the unit is growing fast and proving very popular. Youngsters enjoy training and competitions in military and naval skills, as well as sports and adventure training while developing an awareness of their community and service. In addition to instruction in skills and sports, VCC cadets also get the chance to attend camps during school holidays and represent their units at major public events such as Remembrance Sunday parades. One of our popular activities is the cadet Field Gun. Cadets can join our active and well-known field gun crew and compete for team and individual trophies. 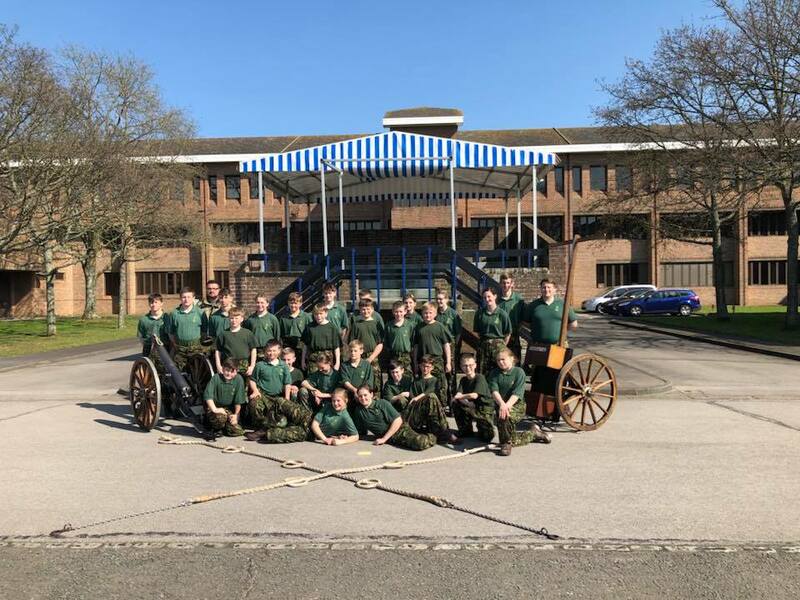 The cadets pull an original Boer War 7 pounder muzzle loading field gun weighing over a third of a ton along a 100 yard course, swapping the wheels over half-way to simulate crossing an obstacle. The wheels each weigh 70 pounds, about the same weight of one of our cadets, and after running at full speed the cadets can certainly be seen to be earning their victory. Our Royal Naval Cadets also have the opportunity to visit ships and have recently had a tour of Historic Dockyard at Portsmouth. All of our cadets get to wear the traditional Royal Navy ratings ‘square rig’ uniform as well as the more modern ‘working rig’, and participate in traditional naval ceremonies. We are open to any young persons aged between 9 and 16 who live in the local area, and accept applications to join before the age of 9 for our waiting list. Find out more about us by reading Welcome to the Challenge!, our guide to being in the Royal Naval Cadets in Portsmouth. 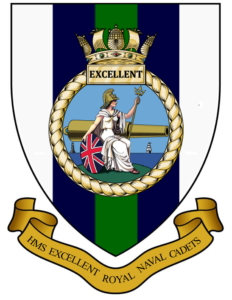 Address: HMS Excellent RNVCC, Alamein Block, HMS Excellent, Whale Island, Portsmouth, Hampshire, PO2 8ER. Training Nights: Tuesday and Fridays 1830 to 2030. Fitness Club: Wednesday 1830 to 2000. Swimming Club: Thursday evenings from 1830 to 1930. Shooting Club: Saturday mornings from 0830 to 1100. Commanding Officer: WO1 Trevor Coleman RNC. Second in Command: to be advised. Training Officer: CPO Kelly Littlefield RNC. Logistics Officer: CPO Julie Coleman RNC. Senior Finance and Administration Officer: Lt Shirley Wing FMAAT RNC.